When humans first migrated from Africa, 70,000 years ago, some settled on the lush Kerala coast. Waves of migrants from North India added to the mix. Later Greek and Roman traders made their way to the coast, calling at the port of Muziris, the most important of 20 ports on the west coast of India. 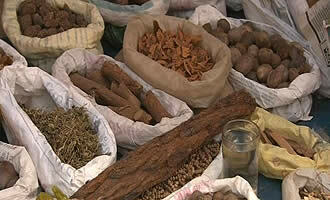 Arab and African ships also came to trade along a coast which was rich in spices, then as now, especially pepper. Also to come were some of India's earliest Christian influences, as well as the establishment of one of the world's oldest Jewish communities outside the Middle East. 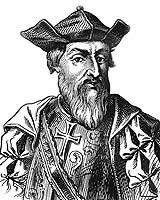 Vasco Da Gama, who had heard about the Indies from traders, arrived in 1498 at the court of Zamorin, in Calicut (now Kozhikode), to find that his gifts of spices were utterly commonplace in the Kerala coast. Despite Kerala's willingness to embrace foreign cultures, it is also a deeply traditional place, home to some of the oldest human rituals, unbroken 5000-year-old traditions of classical learning ranging from theology to boat building to medicine to the fine arts. Well before Yoga and ayurvedic medicine became popular in the West, a highly developed school of traditional healing remained a mainstay of Kerala culture—it now attracts visitors looking for alternatives to modern western medicine. But Kerala's most distinctive feature is probably its matrilineal society. Unique to South Asia, property in Kerala is passed from mother to daughter. The Periplus, a Greek merchant's guide to the Indian trade from the 1st century CE notes twenty major ports on India's west coast. Muziris, the Graeco-Roman pronounciation of Muchiripattanam, was apparently the most important. It is mentioned in papyrus contracts dating back to the 2nd century CE in the West, and is recorded in Tamil poetry of that time. It was the first stop for ships on the direct route from the Red Sea and became a home away from home for many traders. Muziris is where trade began and flourished between India and the Mediterranean, primarily in spices. The trade lasted until the 4th century when it was taken over first by the Persians, and then by Arabs and Arabic-speaking Jews in the 7th century. However, despite all written evidence, the exact location of Muziris remained unclear until recently, because rivers alter courses over time, and in Kerala the coastline is particularly changeable. In 2005, an archaeologist from Cochin University, Dr.Shajan and his team found Muziris exactly where it was supposed to be—4 miles inland, behind a double line of backwaters near the modern town of Cranganore (Kodungallar). Coins of Roman emperors Nero and Tiberius have been found, along with Roman amphorae and Mediterranean glass ornaments. In fact, Roman coins have long been a common sight at local antique dealers' shops. And even today it is the custom in southern Indian weddings to give the bride a necklace of small coins. In the first century CE, India's spices—especially black pepper and malabathrum (a type of cinnamon)—became an important commodity in trade with the eastern Mediterranean. Demand for spices used in seasoning and preservation in the West spurred trade with India for cardamom, ginger, turmeric, saffron, nutmeg, and clove. In 1498, Vasco da Gama's sea route to India opened the spice trade to Europe, and for the next 200 years the Portuguese, Dutch, French, and English would vie for control of the spice trade. By the 19th century, the spread of spice plants to other areas of the world and the development of artificial refrigeration led to a decline in the overall need for India spices. 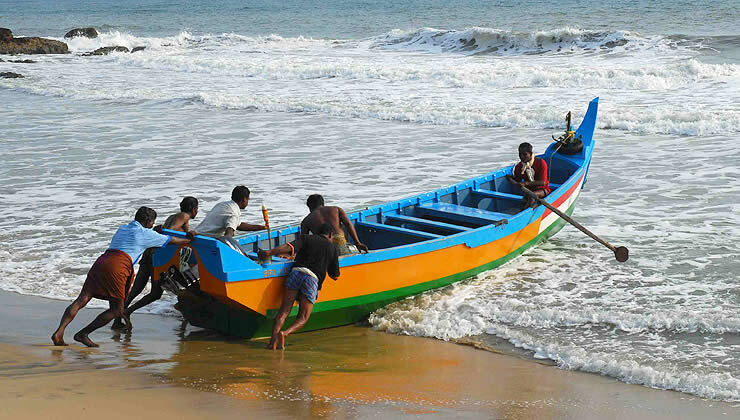 Boat building is a long-established craft in India. The oldest tradition of boat building in the subcontinent, and perhaps the world, dates back to the Bronze Age civilizations of Harappa and Mohenjo Daro. Lothal, located in the current-day Indian state of Gujarat, may have been the site of one of the world's earliest dockyards. In South India along Kerala coast, trade with Arabs, Africans, the Roman empire and perhaps the Greeks, were routine in the middle ages. Building large wooden boats became the craft by which one particular community, the Mopilahs—Malayali Muslims—were known. They were descendants of Muslim traders who arrived in India as early as the 8th century CE. Long naturalized, the Malayali Muslims, had their own guilds. Their way of boat building nearly died out in the 1980s with the huge expatriate movement to the Middle East. But the art of wooden boat building is experiencing a renaissance as the boats, made of teak, are good value for money and last for 40 to 50 years. Called urus, the boats are built by craftsmen who learn the trade from their fathers—there are no plans, nothing is written down, or shared with outsiders. Calculations and the math involved are done between teacher and apprentice, on the job, and worked out as the boat takes shape. Given this old tradition of ship and boat building in South Asia, it is no small irony that India is also home to Alang, a ship graveyard, the largest ship breaking and recycling center in the world. Ship breaking is a controversial and dangerous salvage operation that has been heavily criticized by human rights advocates, where workers dismantle aging ships with rudimentary tools and almost no protection against hazardous materials and accidents.